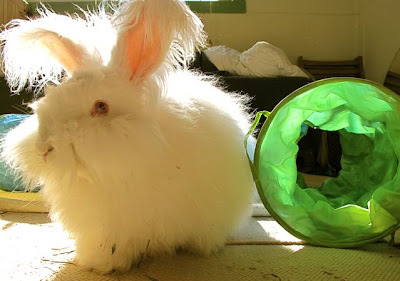 potentially nervous: the bunny tunnels have landed! nuage is forced to ignore them for a few minutes in an effort to show them who's boss. the bunny tunnels have landed! nuage is forced to ignore them for a few minutes in an effort to show them who's boss. I have a room painted that color - I call it the alien abduction room because of the glow it casts in the hallway at night when the room lights are on. I hope Nuage has a safe journey there and back. Yeah... you can't let those toys know you're interested. Play it Cool Nuage. It has been a while since our last visit...and i drop here after saw u in Furrybutts mom's Facebook. I miss u guys so much.. but we dont have much time to update our blog yet..